We’re only at the Quarter Finals but the 2018/19 Champions League has already brought a ton of intrigue and excitement. We’ve seen some incredible last-minute winners, late comebacks, and some spectacular goals. Whilst many of Europe’s elite sides still remain, some of the top dogs were sent home packing early this season. The most notable of these was definitely Real Madrid, having suffered a shock 4-1 home loss to Ajax in the Round of 16. PSG also blew a 2-0 lead to falter at home against Man United, whilst Bayern Munich suffered a home loss to bow out against Liverpool. This has set up four very intriguing quarterfinal matchups that will have huge ramifications for the remainder of the season. With just 8 sides remaining, this article will break down which 5 sides are most likely to win the 2019 Champions League. 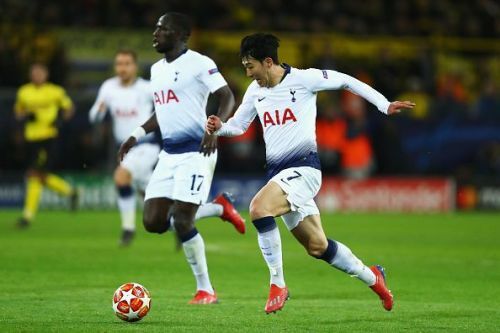 Having survived a relatively difficult group, Tottenham faced a strong Borussia Dortmund side in the Round of 16. This was a definite test for Spurs, one which they passed with flying colours, winning 4-0 on aggregate. An impressive 3-0 win at Wembley was followed with a gritty 1-0 win at Signal Iduna Park. Whilst this Spurs group is yet to win a trophy, they are still a very talented collection of players. Harry Kane is a world-class centre-forward and is capably supported by creative outlets like Christian Eriksen and Dele Alli. With constant speculation of a move away, manager Mauricio Pochettino is also one of the world’s best. In many seasons, Spurs would be higher on this list. However, a daunting quarterfinal draw against league rival Manchester City awaits. Even if they manage the upset there, a tough semifinal against Juventus would await.